AUSTIN.- The Metropolitan Museum of Art is lending 28 mid- to late -twentieth-century sculptures to The University of Texas at Austin to be installed across campus as part of the university's Landmarks public art program. The first group will be installed in September 2008, the second in January 2009. The sculptures are on long-term loan from the Met. "We are very pleased to make this loan to The University of Texas at Austin campus," said Gary Tinterow, Engelhard Curator in Charge of the Metropolitan Museum's Department of Nineteenth-Century, Modern, and Contemporary Art. "These large-scale sculptures were intended for outdooror very large indoorspaces, which we do not have available in New York. With the loan of the works to Austin, they will be enjoyed by thousands of university students, staff, and visitors to the university." "This important loan of sculptures from The Metropolitan Museum of Art will enrich our campus," said William Powers Jr., president of The University of Texas at Austin. "It will demonstrate the value we place on art and creativity as manifestations of the human spirit. We are extremely pleased to bring this superb collection to our university and our community." Landmarks is a strategic, long-term public art program of The University of Texas at Austin, created to facilitate the complex process of developing a collection for the campus that complements building projects and supports broader university-wide priorities. The program applies a clear curatorial vision to the development of a cohesive collection of public art for the university's main campus. "For the first time in its history, the university adopted a comprehensive policy with ongoing support for public art acquisitions," said Andrée Bober, founding director of Landmarks and initiator of the Met project. "This is the university at its best, thinking big about what it can accomplish and being decisive about shaping its future. The Met loan is key because it provides an art historical framework from which we can build our own stunning collection." To ensure a comprehensive approach to building a campus-wide collection, Peter Walker Partners, architects of the Speedway and East Mall reconstruction, donated their services to create a Public Art Master Plan. The plan serves to guide overall public art acquisition and placement in alignment with the Campus Master Plan by Cesar Pelli and Associates, the document which has served as a framework for campus improvement and growth for the past 12 years. The Pelli plan establishes a series of guiding principles with the objective of supporting and embodying a sense of community for students, faculty, and staff to create a sense of place that will remain strong and clear in the memories of graduates while also encouraging public access to and enhanced perception of the campus. "The installation of the Met collection is a pivotal development that corresponds to Peter Walker's Public Art Master Plan," said Pat Clubb, vice president for employee and campus services at the university. "The strategic placement of each piece will inspire interaction among students, faculty, staff and campus visitors." Seventeen sculptures will be installed throughout outdoor public spaces and inside several campus buildings in August 2008. There will be an unveiling of the first installation on Sept. 12, preceded by a free public lecture given by Valerie Fletcher, senior curator of Modern Art at the Hirshhorn Museum and Sculpture Garden, Smithsonian Institution. The second installation phase will bring 11 pieces to the Bass Concert Hall in January 2009, following the completion of the hall's renovation. 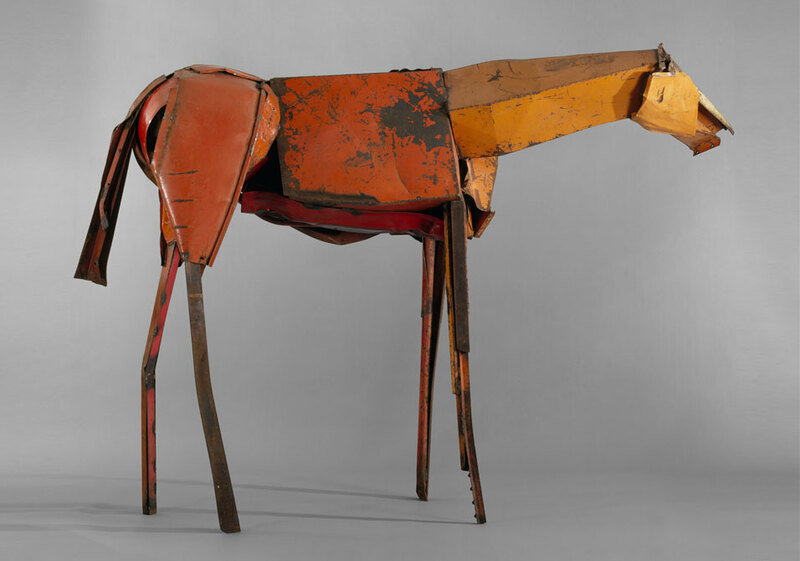 The loan includes the works of such internationally renowned artists as Magdalena Abakanowicz, Louise Bourgeois, Deborah Butterfield, Anthony Caro, Jim Dine, Donald Lipski, Beverly Pepper, Antoine Pevsner, Tony Smith, and Ursula von Rydingsvard. Several education programs accompany the loan, including a free audio tour podcast and family and teacher resource guides. "The works will provide a superb teaching collection of twentieth-century sculpture across a wide range of styles and artists," said Douglas Dempster, dean of the College of Fine Arts. "The Metropolitan loan will transform the public art landscape of the UT Austin campus. In one spectacular leap, the university will host one of the leading public art collections among American colleges and universities." There are three key initiatives of the Landmarks program: the first is the long-term sculpture loan from the Met. The second involves the purchase or commission of art for building projects on the main campus. These works are supported by a percent-for-art policy that sets aside funds from new construction or major renovation projects specifically for acquisitions. The third initiative enhances public sites that are not associated with a specific building project. Spaces such as gateways, medians, malls, corridors and Waller Creek have become university-wide priorities. Public art in these locations creates focal points, unifies overlooked areas on campus and ensures an even distribution of works in accordance with the Public Art Master Plan. These works will be funded by private contributions and support from foundations.